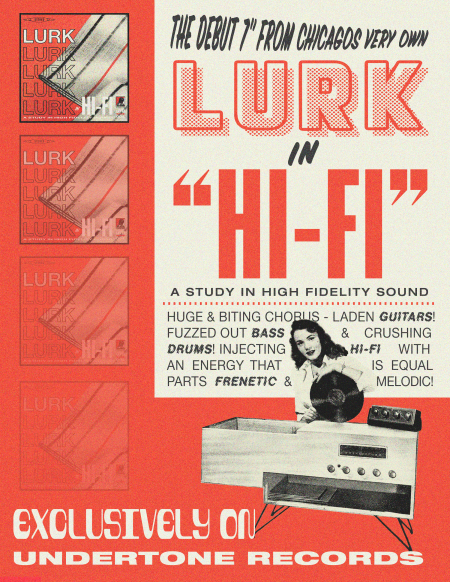 Coming a year and a half after their excellent demo, Lurk is gearing up for the release of debut EP, Hi-Fi. 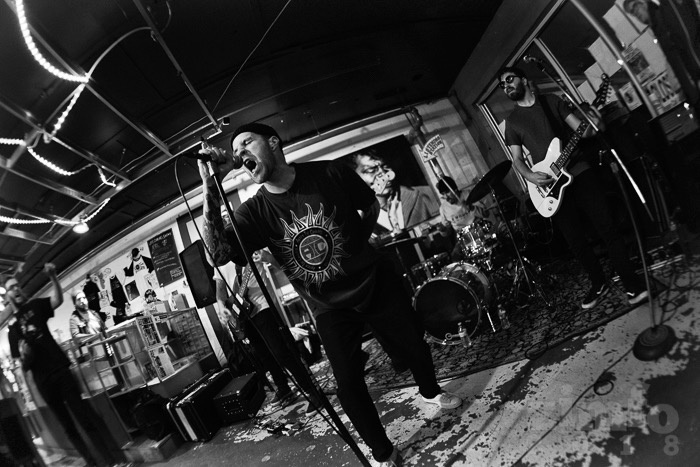 Once again working with producer Andy Nelson (Weekend Nachos, Jesus Piece) at Bricktop Recording in their hometown of Chicago, the 7-track EP finds the quartet delivering punk that is both hard-hitting and melodic in every way. 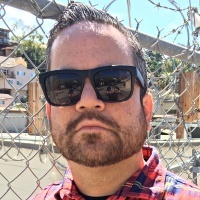 According to the band, the songs on Hi-Fi were borne out of the rise of fascism and bigotry both in the political environment and unfortunately, also in their local community. I'm honored to present the premiere of "Voice," a track from the forthcoming EP, for you today. "'Voice' is a song about reaching a boiling point in political turmoil," Lurk vocalist Kevin Kiley told me via email. "Having progressive ideas and values are only as good as how you communicate them. Writing this came at a time of me personally getting over the fear of uncomfortable political discussion."